After years of serialized release, my eighteen-part Dr. Nekros saga is finally complete and available to read in one massive binge. If you enjoy stories that span centuries, encroach upon the boundaries of reality, delve into family dynamics, provide nonstop action, and demand contemplation, then you’ll love Dr. Nekros. 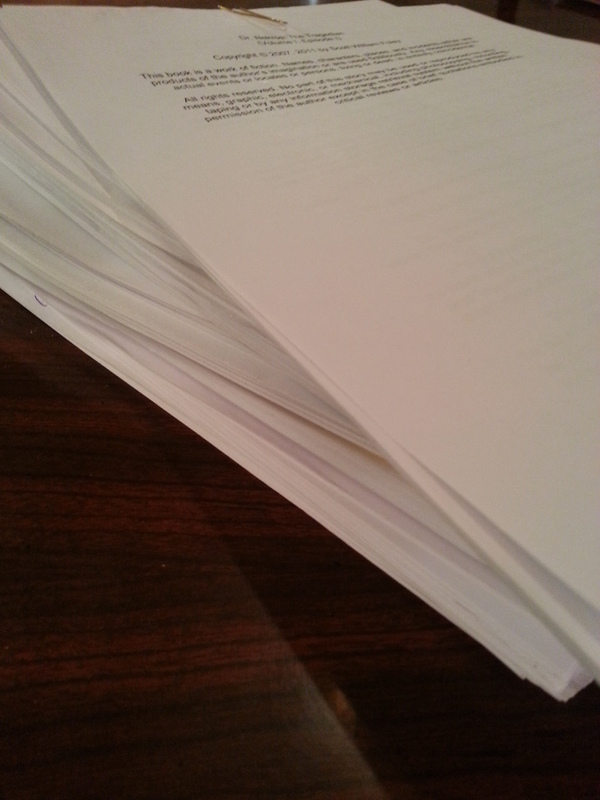 You can read yours today by clicking HERE. *At present, you will need the Kindle app for this series. The Kindle app is free for the PC, smart phone, and tablet. 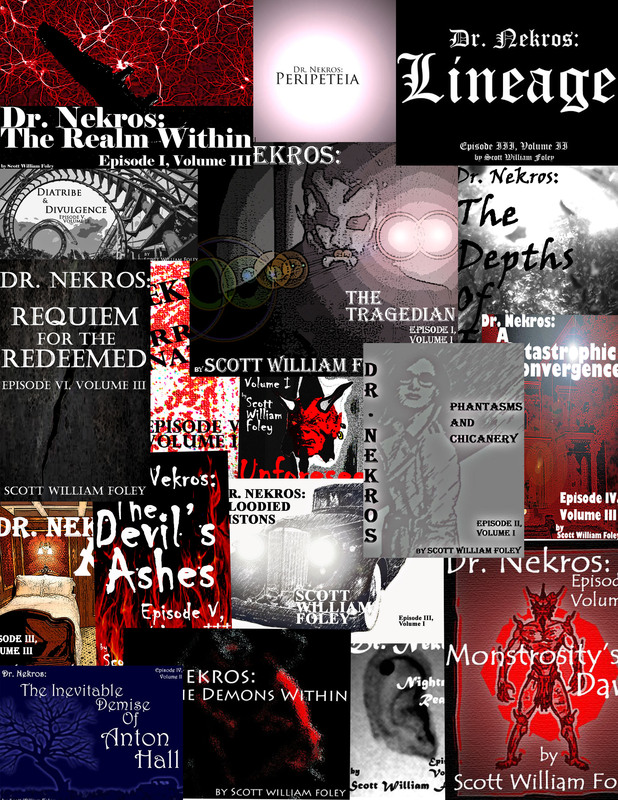 Back in 2011, I started publishing the eighteen episode odyssey of Dr. Nekros. 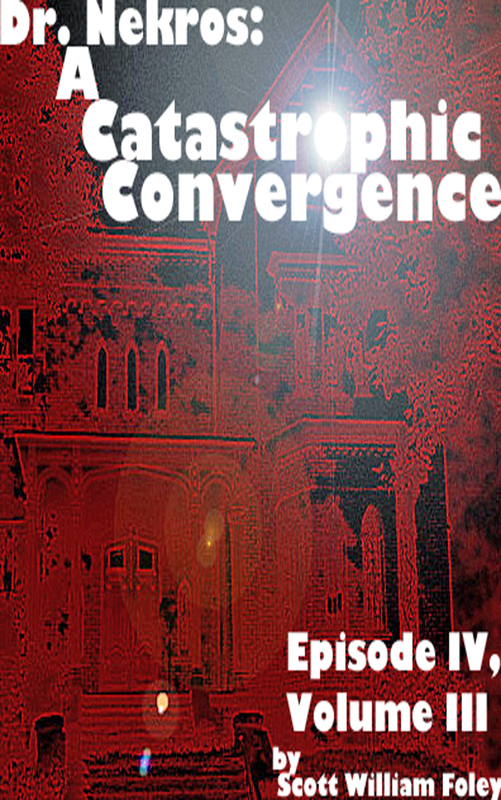 It’s hard to believe there are now only two episodes left in the (mostly) bi-monthly electronic serial. The next installment will release in late June, and the final one will arrive in late July. Years ago I promised love, betrayal, monsters, reunions, ghosts, trickery, revenge, death, black magic, and battles … but I wasn’t too sure about salvation. Unfortunately for Dr. Nekros, I’m still not decided on that matter. This has been an electrifying journey, and I invite you to join me now before it concludes. Where better to start than the beginning? Dr. Nekros – the story so far. Only two episodes left! While trapped in Xaphan’s wretched realm, Dr. Nekros has discovered courageous allies willing to revolt against the land’s master. But nothing could have prepared him for the revelation of their greatest ally, someone not even Xaphan expected to appear – the occupant of A77. Meanwhile, even as Dr. Nekros fights to rid Xaphan from all of existence, Cashel Vadenburgh fights for his life, Zetta Southerland fights to reclaim her missing child, and Anton Hall fights for his only love. The saga of Dr. Nekros draws to a close with only three more episodes left. Catch up today! Click the image to read Dr. Nekros: A77.